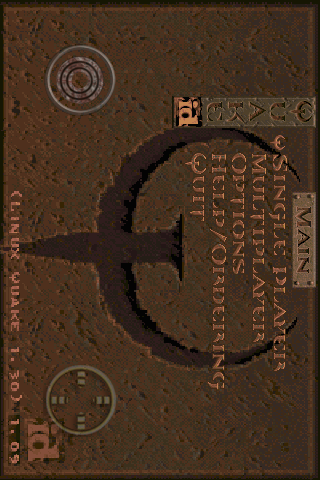 Port of the popular Quake 3-D shooter game written by ID Software. It requires webOS 1.3.5 or later. 1.3.0: Converted to PDK framework. 1.2.0: Visual control overlay. Settings/bindings are now saved across executions. Misc bugfixes. 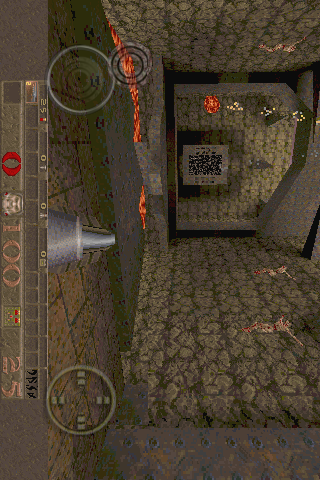 1.1.0: Increased performance, Drastic improvements to control scheme (including virtual joystick, continuous fire, added gesture controls), Modal Keyboard, fix for Segfault Error. 1.0.11: Playable game, better performance, fixed crashes, keybindings.